Portugal has the most gorgeous sunsets I have ever seen! 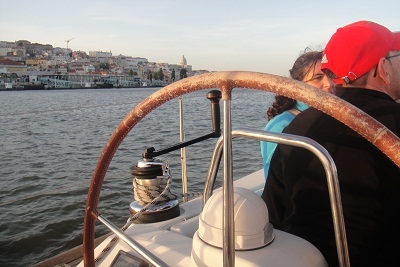 When you visit Lisbon it is a great idea to enjoy a sailing tour and to discover the city seen from the river Tagus. 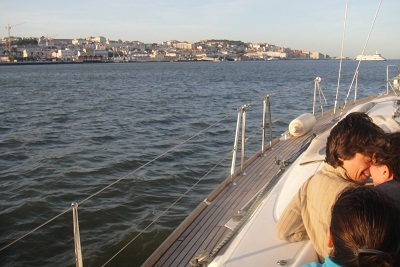 TagusCruises Lisbon: sunset sailing on the river Tagus, a great experience! 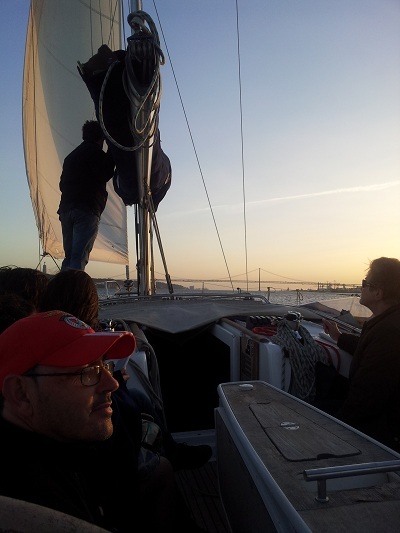 This 2 hours sunset sailing trip departs daily from Doca do Bom Sucesso, close to the Belém tower, Lisbon, at 19:30. If you wish you can go to the office (also situated at Doca do Bom Sucesso), buy a ticket and board immediately, but you can also book in advance via the website of Taguscruises.com . 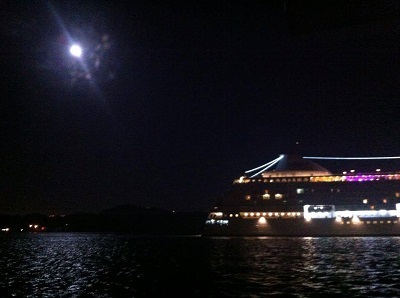 Tagus Cruises can also organise birthday parties, marriage proposals, champaign parties, and live music on board. You can bring your own food and drinks or you can buy all you need in a shop near the office. 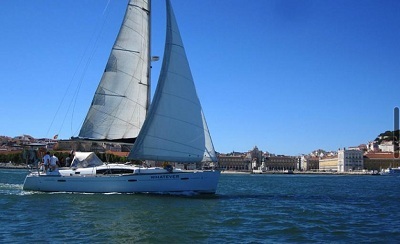 Or maybe you prefer a private yacht and sail between Lisbon and Cascais? Praça do Comerçio is one of the most majestic squares of Lisbon and absolutely worth a visit. 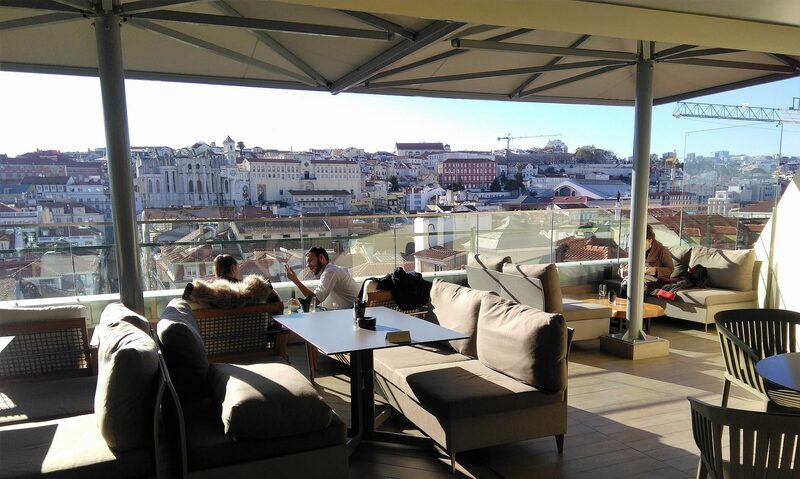 Terraces and restaurants are facing the Tagus river, surrounded by the most stunning architecture. On the background the wonderful 25 of April Bridge (Ponte 25 de Abril), connecting the city of Lisbon to the municipality of Almada on the left (south) bank of the Tagus river, and the Cristo Rei monument. How to get there? Dolphins return to Tagus estuary. Their presence is believed to be the result of a significant reduction in the River Tagus pollution from the city, and the improved quality of the river water is providing them with healthy fishing grounds. You will pass Lisbon’s beautiful monuments and attractions, such as the Monument of the Discoveries, the beautiful St George Castle (Castelo de São Jorge), and the UNESCO World Heritage-listed Jerónimos Monastery. Jorge Nuno: “In december 2012 we started with Taguscruises in Lisbon. 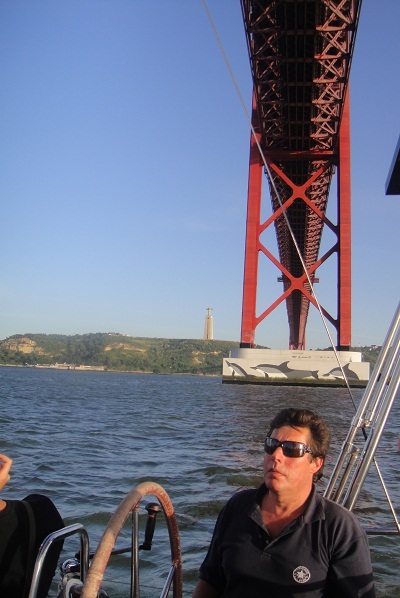 The main idea is to give the people a ‘new door’ to the Tagus river. The boats are docked in front of the office; groups can buy a ticket here and then navigate. Of course you can book via our website, but personal contact is important for us”. 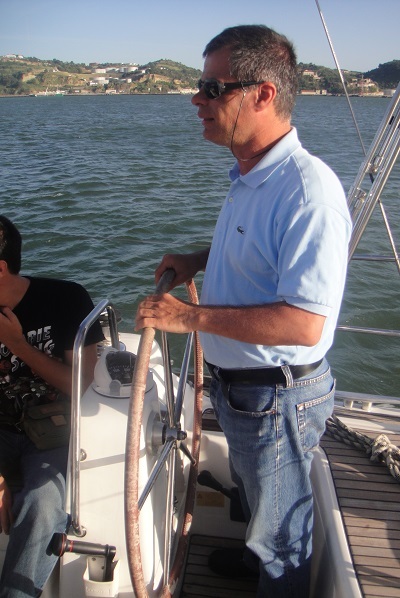 Jorge Nuno: “Sailing is my passion and also my profession, because I used to work as a deck officer on a container boat”. 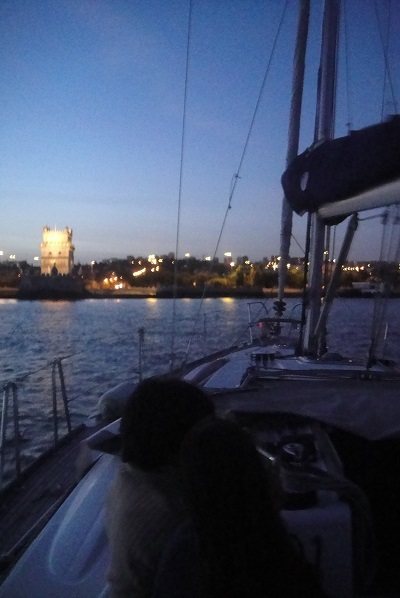 ” We also can arrange events for companies: we have organized a Regatta with 16 boats for 160 people”. 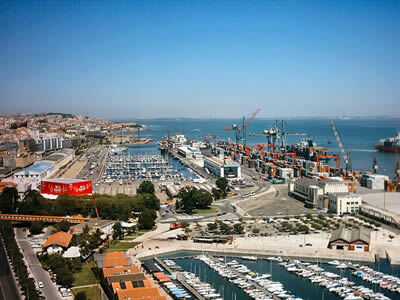 Daily departures from 10:00 – 19:30, Doca do Bom Sucesso Lisbon. Around 1986, the Dutchman, Dirk Willem Gesink, decided to spend his honeymoon in Portugal. At that time he was a successful businessman in Holland and since his childhood a passionate sailor. He had started sailing when he was four years old at the “Loosdrechtse Plassen” in Holland. 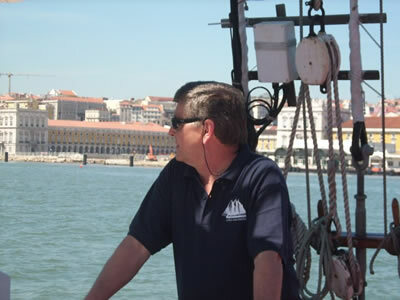 Obviously Dirk Geesink looked for a company that organized sailing trips on the river Tagus during his vacation in Portugal. He searched but didn’t find one single sailing boat dedicated to this activity. This was a determinant observation. 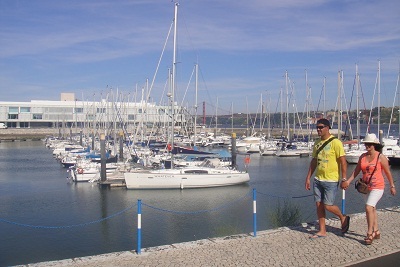 At this moment he decided that within one year he would have his own sailing boat in Portugal dedicated to nautical tourism. And this was exactly what happened. In 1987 he had already bought the then called “Sepha Vollaars” and was already active in the region of the Algarve. After having sold everything in Holland, the family Gesink made their home out of the centenary schooner, and accompanied the whole process. 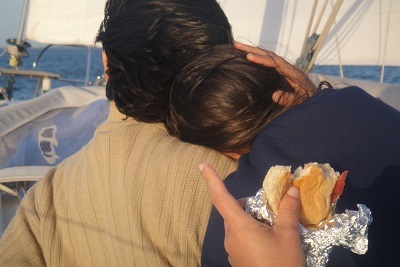 Even his two daughters were born on board. 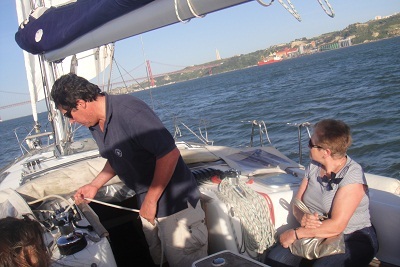 In 1991, Dirk Gesink concluded his final project of making cruises on the river Tagus. 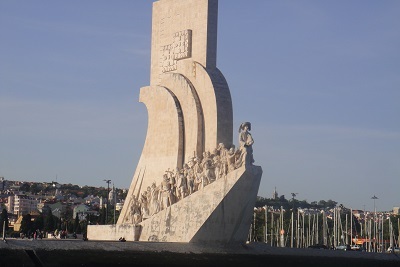 From this time on, the Leão Holandês is a reference in the Lisbon tourism branch, besides being the most ancient and experienced company dedicated to this service. Many companies have had their names associated to the Leão Holandês. Some of these successes were the Rothmans “Tour the Country”, the sailing week with Unilever, the firework nights during Expo ´98, the publicity for Cutty Sark during the Euro 2004. And many, many others.